Hypoluxo Island is an island off the Atlantic Coast off Palm Beach County, Florida, United States. The name “Hypoluxo” comes from the Seminole name for Lake Worth, roughly translated “water all ‘round—no get out.” The lake was later renamed in honor of Seminole Indian War colonel William Jerkins Worth. However, the name “Hypoluxo” is still associated with the area on the south shores of the lake, as evidence by its appearance on an 1841 War Department map. Off Seasonal Rental Only! Beautifully Maintained And Charming Home On Hypoluxo Island Available For The Summer! Bright And Sunny With A Private Pool! In The Heart Of The Action Of Hypoluxo Island And Close To The Beach! Hypoluxo Island is nestled between Palm Beach and Boca Raton. There is plenty of room on the island and it’s home to 2,600 residents. The community in Hypoluxo Island is very tightknit. Fortunately for the residents, Hypoluxo Island maintains its charming beauty of a tranquil tropical island. Many families move to Hypoluxo Island to retire because they find the open air to be refreshing and peaceful, everything retirement is supposed to be. They also enjoy charming cafes, fresh meat markets, and fish markets. The area is gaining popularity, which has resulted in expansion of construction of condos, apartments, and duplexes. But while Hypoluxo Island continues to grow, residents are not overtaken by the boom because Hypoluxo Island is under protected space. If the lack of business is concerning, those who are looking to move can rest at ease knowing there are plenty of restaurants and cultural activities that are easily accessible right off the island. The Ritz-Carlton Hotel in nearby Manalapan was created a venue for those who enjoy upscale dining and shopping. There isn’t a school system on this tiny island, but students attend the Boynton Area High School, only a few minutes away. And since this tropical island since this is an upscale and luxurious place to live, crime is nonexistent. The median home price on Hypoluxo Island is $400,000, but houses go well over the million dollar mark. Hypoluxo Island is home to some of the most beautiful real estate in the Florida area and has been one of the favorite places to visit since the 1840’s. The community is only a short walk away from the Atlantic Ocean and a gorgeous day on the beach. Stunning multi-million dollar homes sit along the ocean with beautiful panoramic views. The architecture on the island is primarily Key West and Mediterranean-style. The community on the island is very upscale and private. Homes for sale on Hypoluxo Island are ideal for those who are looking to retire and enjoy island living in a warm and lush environment. The real estate and investment opportunities on this little island are endless, as Hypoluxo is not only a beautiful place to visit, but it’s a truly magnificent place to call home. Have you dreamed of waterfront living your whole life? Then, Hypoluxo Island is exactly what you need. The word “Hypoluxo” is derived from the Seminole Indian’s name for Lake Worth, which means “water all –round” and that’s exactly what you get on this beautiful island. And since there are no noisy businesses on this island, it maintains the feel of quiet and peaceful island living. Developers have preserved a lot of the natural habitats here, unlike in neighboring communities. Whatever your budget happens to be on your new home, you’re likely to find a very luxurious home in a fabulous location in Hypoluxo Island. Moving to Hypoluxo Island, Florida? If you plan on moving to Hypoluxo Island, Florida in the near future, you’ll likely find yourself living in one of the tranquil and breathtaking neighborhoods in the area. 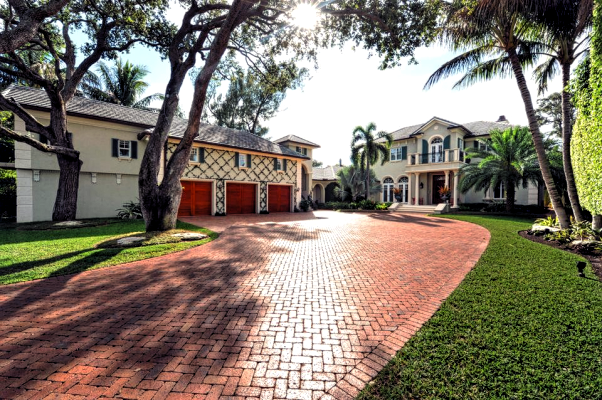 When you’re ready to take the next step to finding the best home possible on Hypoluxo Island, consider Mizner Residential Realty to help make your home buying experience a pleasant and rewarding one. Contact us today at 561-495-1516.